Next weekend, when Michigan takes on the Utah Utes, a familiar face will be in the crowd. Brendan Ferns, who is the younger brother of current Wolverine Michael Ferns, will be taking an unofficial visit to Ann Arbor. The St. Clairsville product is currently ranked as a 4* recruit via 24/7, and boasts an offer sheet including; Ohio State, Oklahoma, Penn State, West Virginia, and Michigan State. Although Ferns does not possess a Michigan offer yet, the coaching staff has been in contact with him multiple times within the past month. As of right now, I would say that Brendan is an Ohio State lean, as he has visited Columbus three times in the past two months. Currently Brendan holds a crystal ball reading of 71% in favor of Ohio State. 2015 DE Jalen Bates tweeted out on Tuesday night that he will be announcing his college choice in two weeks. Bates, who is currently ranked as a 3* prospect according to Rivals, holds a scholarship offer list including mostly SEC schools. Although his senior year of high school football has just begun, Jalen has already taken an official visit to Arizona State and will take an official to Texas Tech this upcoming weekend. Right now I would say Michigan’s chances of landing the Kaplan native at slim to none. Jalen has only made one trip to Ann Arbor, and that was for the Big House BBQ. Although he did enjoy himself on the visit, I don’t think it was enough to put Michigan over the top for his services. Look for Jalen to land at; Texas Tech, Louisiana-Lafayette, or perhaps Mississippi State. Michigan will host multiple 2015 and 2016 prospects this weekend, as the Wolverines take on Miami (OH) including; LB Eric Rogers, WR Grant Perry, DE Jack Dunaway. Current commit; Alex Malzone, Tyree Kinnel, Brian Cole and Mike Weber will also be in attendance. 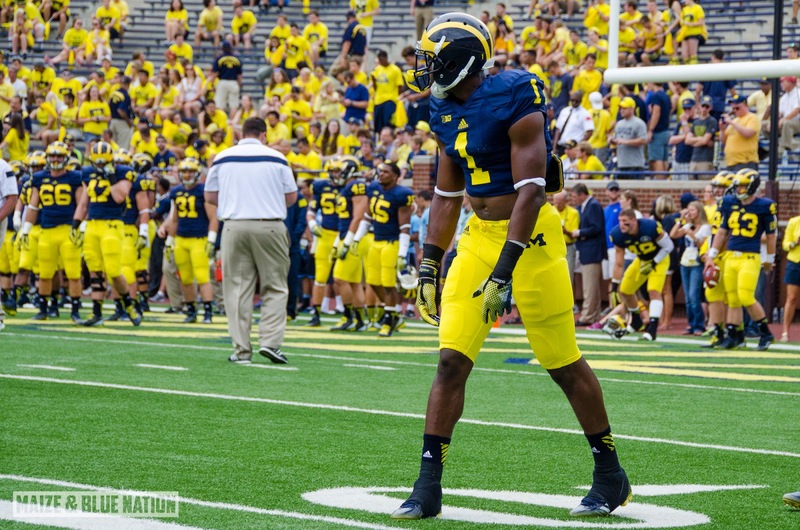 2015 ATH Javarius Davis received a phone call from Coach Mattison on Thursday night. As stated above, Davis is scheduled to be in Ann Arbor for the Penn State game. 2016 ATH Ahmir Mitchell spoke with 24/7's Ryan Bartow late last week to discuss his top schools. Rutgers is currently on top to land the 4* prospect, with Florida State and Michigan following. Michigan is recruiting Mitchell as a Safety.